Founded in 1975, the Centre culturel francophone de Vancouver's mandate is to offer artistic, community and educational programming in French to Vancouverites. Through its various services, Le Centre has gained an important place within the Vancouver community. 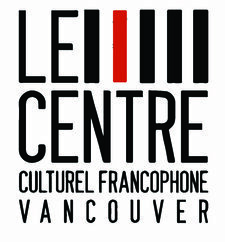 Le Centre, located in the Maison de la Francophonie, sees itself not only as a gathering place for francophones but also as a centre of attraction for exchanges with other Vancouver cultural communities. A variety of community services are offered by Le Centre to fulfill the diverse needs of Francophones living in Vancouver. The Centre recruits and organizes volunteers to help serve fellow Vancouverites.